A Laurel man has spent the last 16 years building a model replica of the city–and he’s not quite done yet. 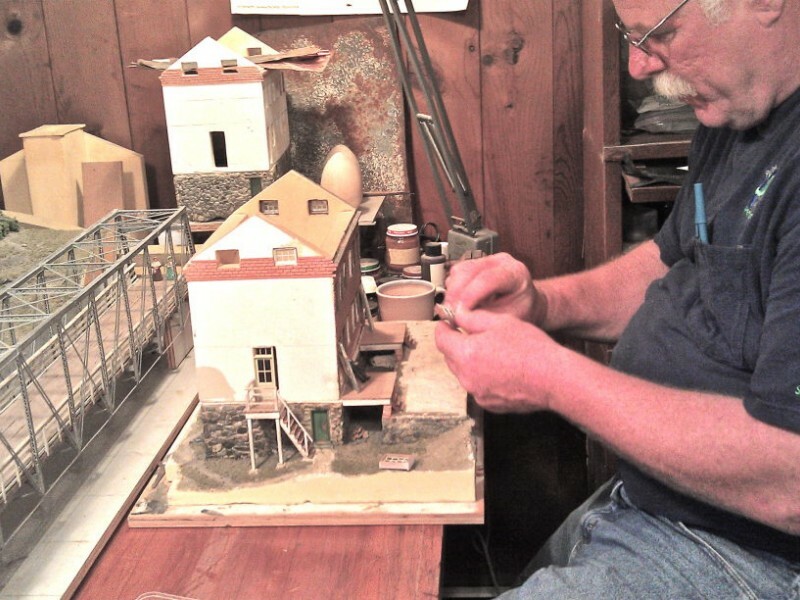 In 1995, James Ladenburg of West Laurel began researching and constructing a scale model of Laurel Factory, the mill that inevitably lead to the founding of the city of Laurel. For the past 16 years, Landenberg has dedicated much of his free time to a project that, despite its historical significance, has gone relatively unnoticed by much of the Laurel community. Ladenburg, now 57, is an accomplished carpenter with over 40 years of experience. His modest apartment is littered with hand carved wooden statues and signs that tell remarkable stories of a man who spent his life using his imagination and hands to create stunning works of art out of nothing more than hunks, blocks and slabs of wood. While the rest of the world was discovering eBay and the Internet throughout the 1990’s, Ladenburg began researching the history of Laurel Factory, the precursor to what is now the city of Laurel. For the next three and a half years, Ladenburg created diagrams and sketches, formulating a complete mental picture of the mill. The main drawback to Ladenburg’s historical model is funding and space. Without the necessary investment capital or space to exhibit, Ladenburg fears that his work may never be fully appreciated by the community at large. Marleen Frazier of the Laurel Historical Society has observed Ladenburg’s efforts over the years. A personal friend of Ladenburg’s, Janet Smith, continues to encourage him to complete his dream.